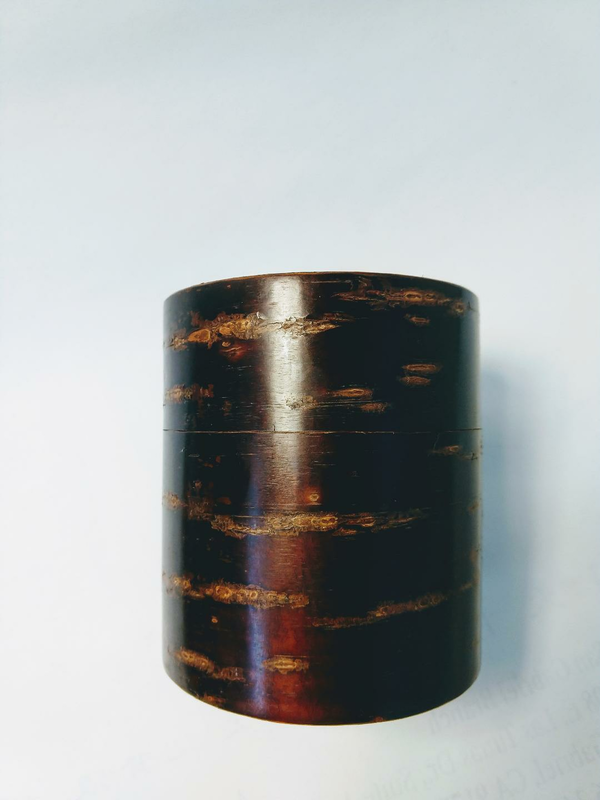 Polished cherry bark covered tea tin with inside lid. 4 5/8" height and 3 1/4" diameter. From Japan.